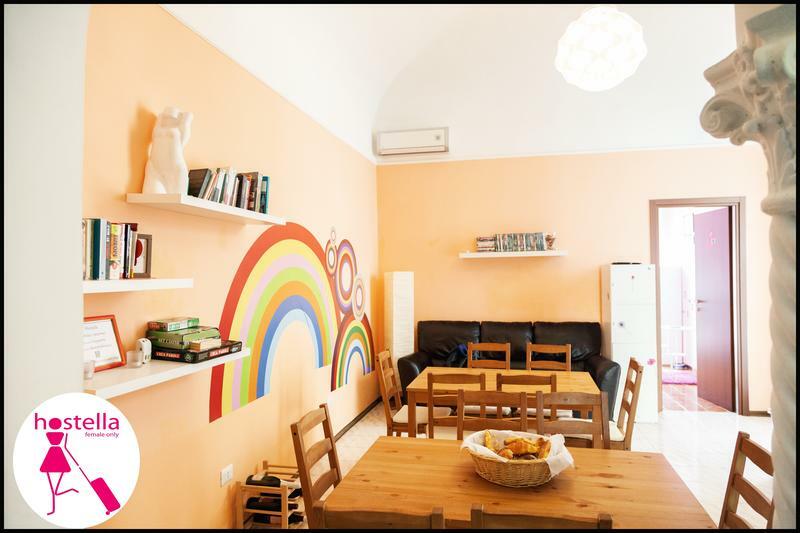 Our small hostel is a clean, comfortable and a well-located place where, after a strenuous day sightseeing in the eternal city, you can sit back and relax. We have a wide range of rooms at competitive prices, with three-, four and six-bed dormitories as well as twin, triple and quad private bedrooms. Bed linen and blankets are included. Private rooms also include towels. All rooms are equipped with internet, 24-hour Wi-Fi and air conditioning and heating for the cold season. Our young staff aim to provide any information you may need and are dedicated to insuring your time with us is safe and enjoyable. We offer breakfast (croissant, yogurt, milk, coffee and tea), luggage storage, Sky TV in the common area, safety lockers, hairdryers and air conditioning in all the rooms and common areas. You can get the Leonardo Express train direct to Termini station. It costs 15 euro and takes 30 minutes. You can also get the Terravision shuttle bus. It costs 6 euro and takes about an hour. Take the Terravision shuttle bus direct to Termini station for €6. It takes around 45 minutes. Leave the station on the side of platform 1. Head left on Via Marsala. At the stoplight, Via Marsala changes names to Via Volturno; keep going straight. Via Gaeta will be your first right after that stoplight. We're just around that corner at the number 70. Just buzz Hostella at the interphone, we don't have a big sign.